FootJoy has unveiled its spikeless shoe range for the 2019 season, set to offer comfort, off-course versatility and performance in abundance. The Pro/SL (below, £150) continues its momentum as the #1 Shoe in Golf, with more golfers choosing it over any other shoe in golf. FJ has recently updated the market-leading model with a new upper and five new colour combinations. Pro/SL combines a soft, comfortable, waterproof leather upper with a midsole/outsole system that features three distinct layers for comfort, perimeter stability and superb traction in all conditions. Following Pro/SL’s success since launching two years ago, FootJoy have made the shoe available and customisable for everyone; with the launch of Pro/SL women, juniors and it is now available on FootJoy’s MyJoy’s platform; allowing all golfers to design their own personalised unique version of the Pro/SL. Grabbing a lot of the attention too will be the eye-catching FJ Flex (above, £80). This shoe introduces the Versa- Trax traction system for exceptional on-course golf performance. A lightweight mesh upper and ultra-cushioned FineTunedFoam (FTF) FitBed delivers all-day comfort and maximum breathability. It comes in three colours. FJ’s SuperLites XP (above, £100) are the perfect summer shoe; light, flexible and fully waterproof, offering protection from morning dew and unexpected rain in Britain’s summer. This spikeless offering provides a comfortable fit and added durability for golfers with turf gripping traction to ensure a slip free round. They also come with a one-year waterproof guarantee. For golfers seeking a more traditional look, there’s the waterproof Golf Casual (above, £115), which features soft molded rubber traction elements for grip and a lightweight PU Fit-Bed for soft underfoot cushioning and heel support. Completing the range for men is the Arc SL (above, £100), which was launched last year and features an advanced cushioned midsole, waterproof leather uppers and comes in three colours. For women, alongside the all-new Women’s Pro/SL sits updated versions of FJ Leisure Slip On (above, £95) and enJoy. The new FJ Leisure Slip On offers athletic styling, lightweight spikeless versatility and waterproof comfort, breathability, and durability. The updated FJ enJoy is ultra-lightweight, machine washable and available in two colourways. 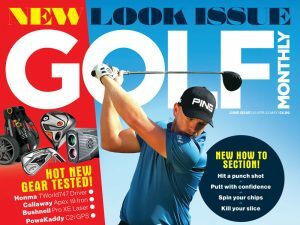 Be sure to follow Golf Monthly on all the major social media channels for the latest equipment news.